There are few foods (bacon, shrimp and lobster) that I love more than boneless buffalo chicken wings. So, when our family decided to reduce the amount of gluten that we consume, a small part of me died, knowing that I wouldn’t be able to enjoy my favorite wing joint in the same way. Note: We used crushed gluten free crackers in place of bread crumbs. First, preheat your oven to 400°F. Melt the butter and whisk it together with the wing sauce. 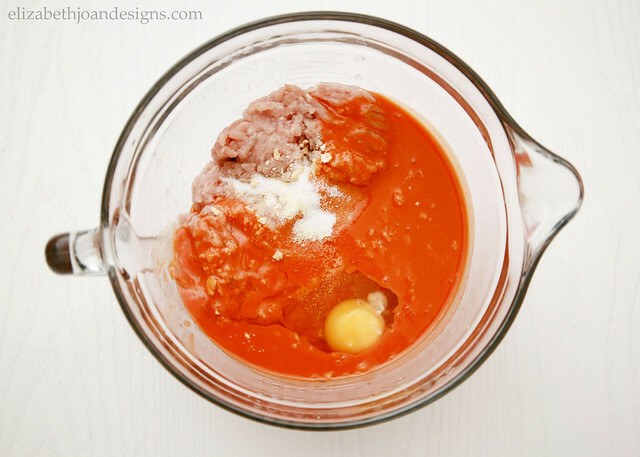 Next, using your hands, combine the sauce combo with the rest of your ingredients in a medium sized bowl. You may get a little messy. Just sayin’. Then, roll the mixture into balls and place them on an oiled cooking sheet. (I ended up with about 28 meatballs.) Bake for 25-30 minutes or until centers reach 165°F. 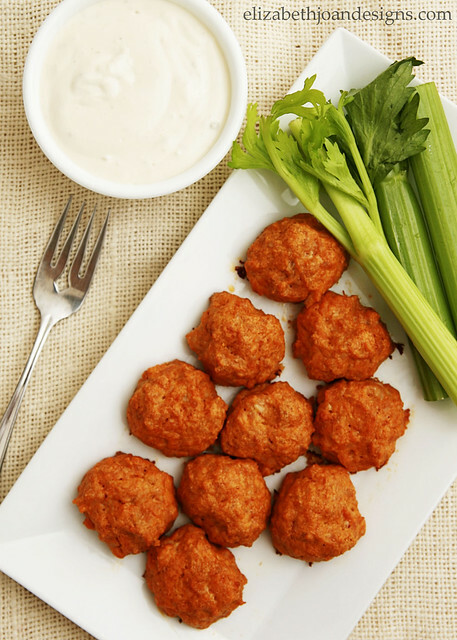 Serve with celery and your favorite dipping sauce. 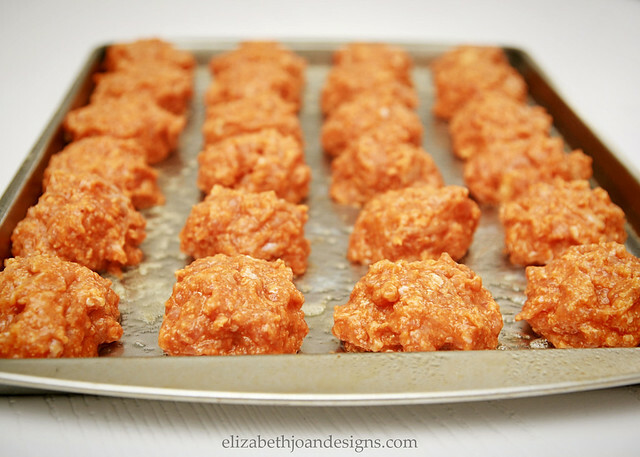 These buffalo chicken meatballs are AMAZEBALLS! My family gobbled them right up. They are so delicious and totally hit the spot when craving some yummy wings. We actually made this recipe 3 times in one week! 2. 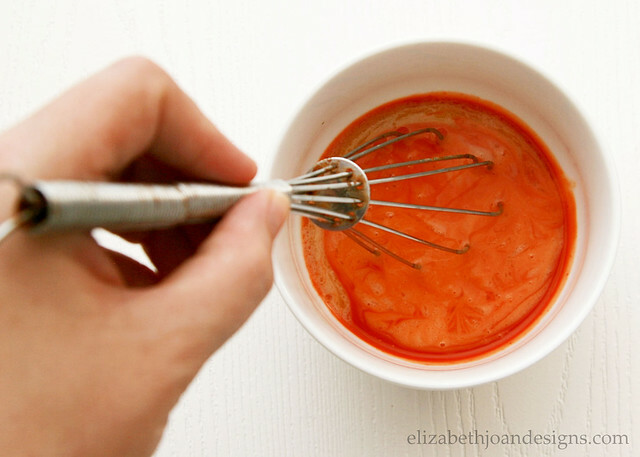 Melt butter and whisk together with wing sauce. 3. 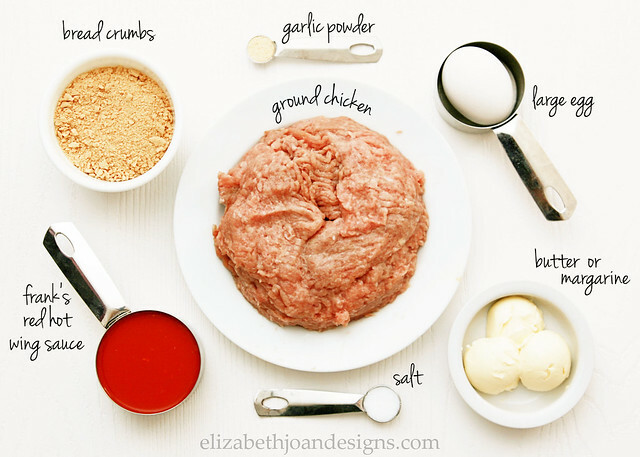 Combine all ingredients with the sauce mixture in a medium bowl. 4. Roll mixture into balls and place on an oiled cooking sheet. 6. 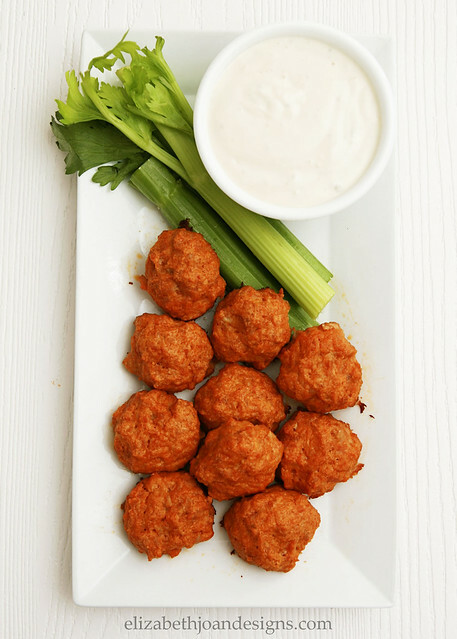 Serve with celery and blue cheese dip. My whole family LOVED these, even picky little cousins. Much lower in fat, calories, and sodium than frying and if you were to substitute bread crumbs they could be totally gluten free! That’s right, Amy. We substituted crushed gluten free crackers. So glad your fam loved them!! I just made these but I added crumbled blue cheese into the mixture! That sounds amazing, Terri! I bet they were awesome. Thanks for stopping by!